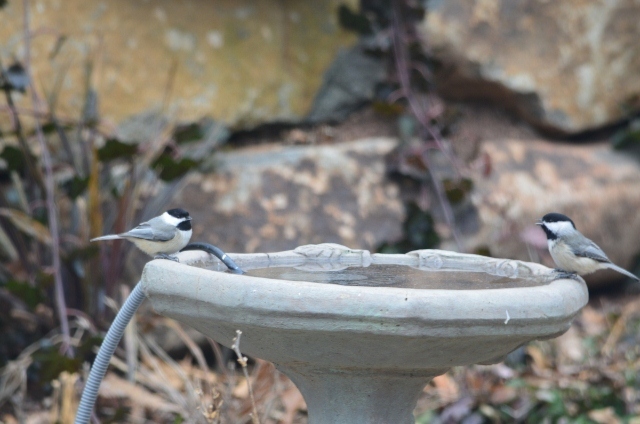 A source of clean fresh water is essential for the birds. During much of the year, they can find natural sources but as winter hits in many areas, the creeks and puddles become frozen. 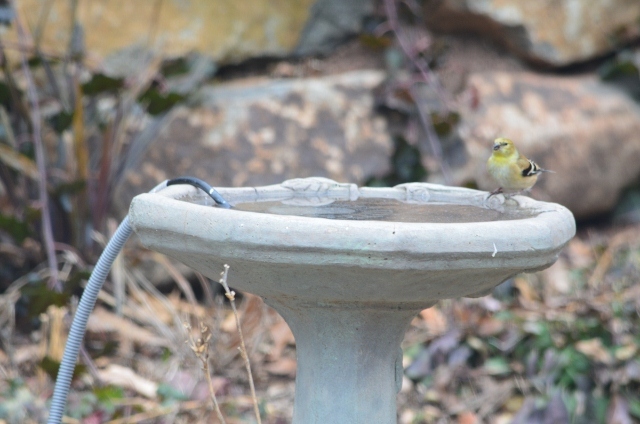 During the winter, a birdbath will be very popular with the local birds. If you live where it drops below freezing frequently, then you will need to add a warmer to the bath to keep it ice free. 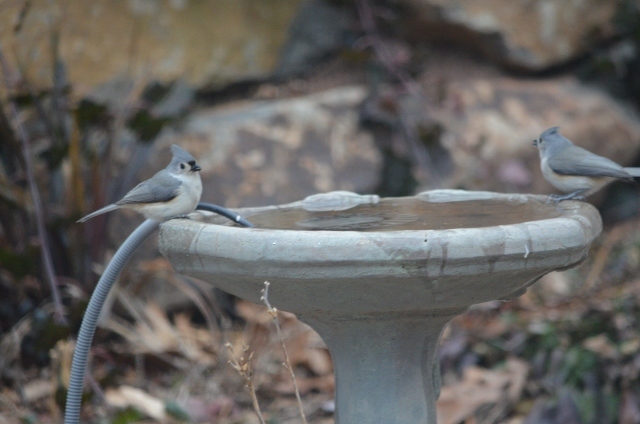 Birdbath warmers are sold in many bird supply stores and in “big box” stores with the birdseed. 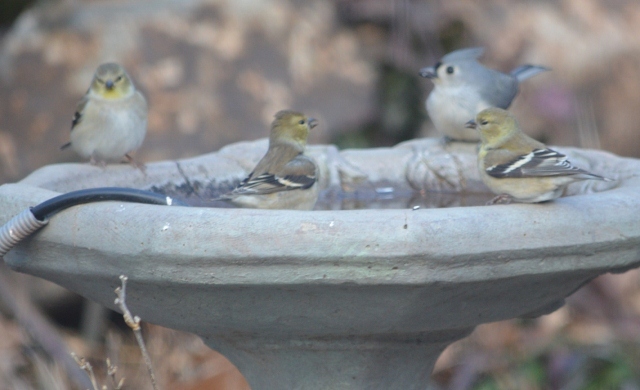 Here is a brief sampling of the birds at our bird bath. 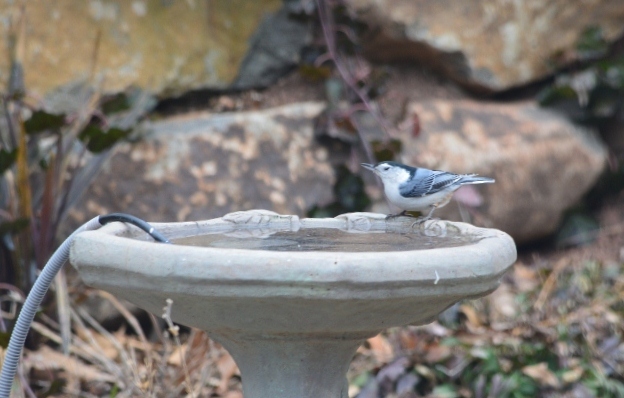 The cord over the edge of the birdbath is the cord for the warmer. 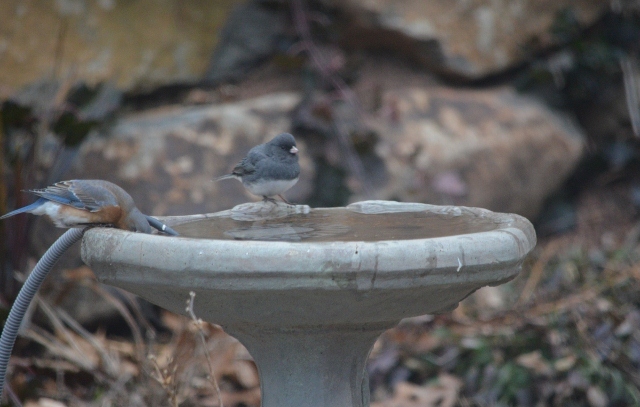 The fresh water will really draw birds to your yard. 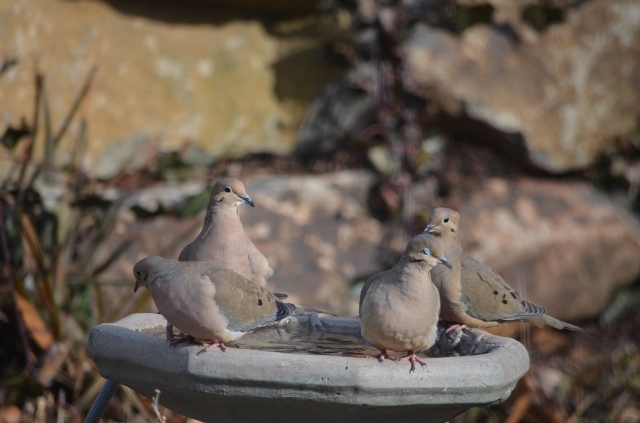 They enjoy it also during the summer but it seems just as busy in the cold weather. Good luck and good birding! 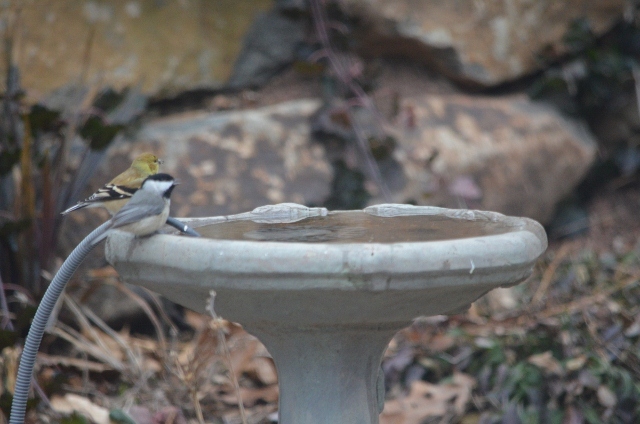 I love the large variety of birds you get to spot in your yard. 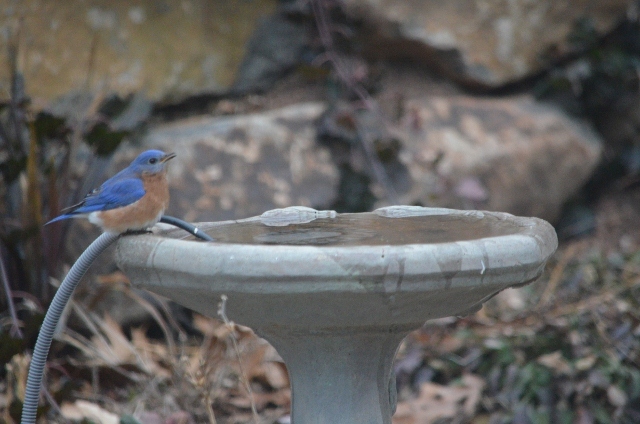 The little blue birds are stunning! Great bread as well, I’d love to eat some right now for breakfast!